Virtual-Hideout.com: I Get My Crabs at Joe's Crab Shack! I Get My Crabs at Joe's Crab Shack! One of my favorite restaurants is Joe's Crab Shack. From the fantastic food to the just as good marketing, this place rocks." In 1991, two guys spent the summer cruising down the Gulf Coast stopping at every seaside crab shack along the way. 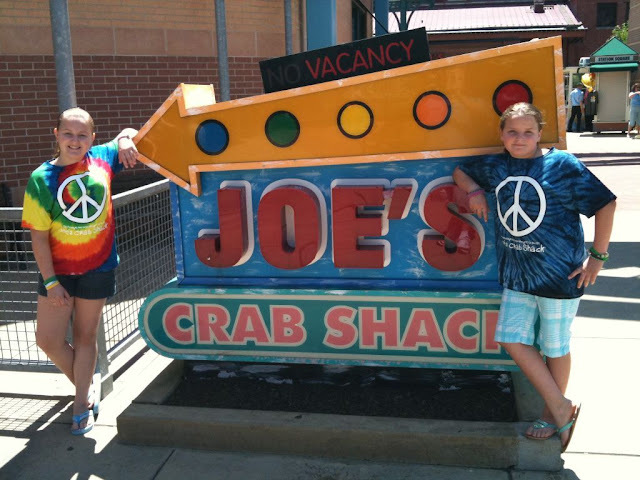 After a long summer of cold beer and hot crab, in the heart of Houston, Texas, Joe's Crab Shack was born." You don't have to like Crab or Seafood for that matter to go there. They have fantastic chicken strips and fries too.